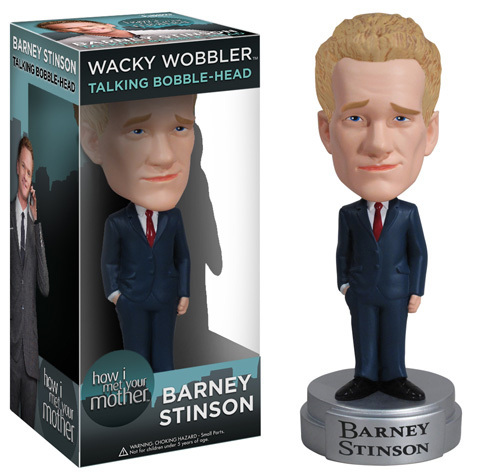 January 2013 - Funko has announced a new Wacky Wobblers bobblehead figure, based on Barney Stinson from How I Met Your Mother. "In my body... Where the Shame Gland should be... There's a second, awesome gland... True story"
"This is TOTALLY going in my blog!" "When I get sad... I stop being sad and be awesome instead.... True story"
"It's going to be legend... Wait for it... and I hope you are not lactose intolerant... for the second half of that word is... DAIRY!" Expect to see Barney in stores near the end of January.